This article assesses concerns about the potential development of new weapons and risks of mass destruction made possible by nanotechnology – the rapidly evolving field of atomic and molecular engineering.1 It will argue that such concerns are valid and will need to be addressed by the international arms control and non-proliferation regime. The paper concludes with an appeal for such an engagement to begin sooner rather than later. Weapons of mass destruction (WMD) are already banned from outer space under the terms of the 1967 Outer Space Treaty. Before long, there may be need for an ‘inner space’ treaty to protect the planet from devastation caused – accidentally, or by terrorists, or in open conflict – by artificial atomic and molecular structures capable of destroying environments and life forms from within. 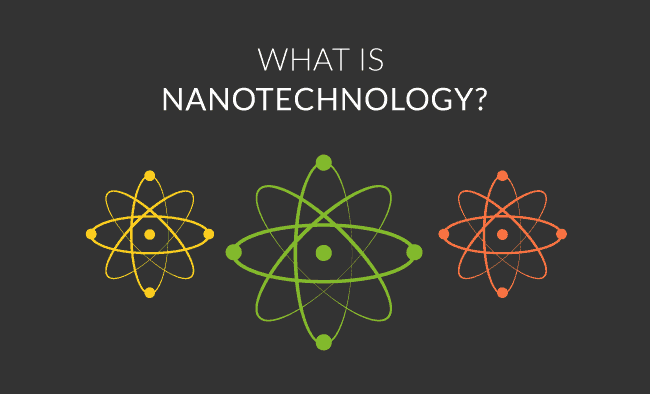 Nanotechnology is defined in the Oxford English Dictionary as “the branch of technology that deals with dimensions and tolerances of less than 100 nanometres, esp. the manipulation of individual atoms and molecules.” A nanometre is one billionth (one-thousand millionth) of a metre. Although the potential of atomic engineering on the scale of 1-100 nanometres was foreseen for decades, most famously in a 1959 lecture by the US physicist Richard Feynman,2 serious research was only made possible in the 1980s, primarily through the ability of a new microscope – the scanning tunnelling microscope (STM) – to ‘click’ and ‘drag’ on individual atoms.3 Numerous universities in North America, Europe and Asia quickly established teams to investigate the possibilities of the new research. The Bush administration’s first NNI budget request, for FY 2002, was for $518.9 million, increased by Congress to $604.4 million. The request for the coming fiscal year is $679 million. The range of US government partners involved reflects the technology’s potential breadth of application.8 The second largest recipient is the Department of Defense, with $180 million of funding dedicated to elaborating a “conceptual template for achieving new levels of warfighting effectiveness” reflecting “the increasingly critical nature of technological advances”.9 None of the funding is currently earmarked specifically for developing new weapons. Studies are, however, already underway (e.g. the research on new types of armour, considered below) and likely to be undertaken to assess the kind of nanotechnological systems which US forces may confront, or equip themselves with, in the future. Such weapons, at least in principle, could include WMD, either in terms of entirely new means of mass destruction, or nanotechnological enhancements to existing WMD. Imagine, one might add, the psychological impact on people around the world, first of realising that such a dramatic extension of militarisation into the nanosphere is beginning, then of wondering where such a process might end. Why stop at armour, short of new weapons – and, if it does lead to new weapons, what on earth will they be? Nanotechnology has become firmly established as a subject of popular interest, largely through visions of a ‘return to Eden’, and even an escape from mortality, offered in countless science fiction novels, films and television series, and a number of best-selling science books, prominent among them Engines of Creation by K. Eric Drexler and The Age of Spiritual Machines by Ray Kurzweil. Such works are generally derided by professional nanotechnologists, keen to caution against inflated expectations and thus possible disillusionment on the part of governments, funders and industry. Even the vision of nanotechnology purveyed by such professionals, however, is replete with expressions of confidence in its long-term capacity to transform the modern world – for the better, of course. In September 2001 – a month synonymous with the destructive misuse of modern technology – Scientific American published a special issue on progress and prospects in the new ‘science of the small’. The issue, featuring articles from prominent nanotechnology advocates and practitioners, differing only in the intensity of their enthusiasm, outlines developments in four main areas of research: computer circuitry11, new construction ‘supermaterials’12, medical diagnostic and therapeutic applications13, and ‘nanorobotics’14. But does this allure mean scientists are more or less likely to be wary of the potential for harm their work may entail? What ‘far-reaching applicability’ could ‘nanostructures’ have for repressive governments, high-tech militaries, or terrorist organisations? There are, of course, multiple levels of concern below that of a final apocalypse. Use and abuse are, unavoidably, the twins born of controlled replication. Nanosystems proliferating in a precisely controlled and pre-programmed manner to destroy cancerous cells, or deliver medicines, or repair contaminated environments, can also be ‘set’ to destroy, poison and pollute.17 The chain reactions involved in thermonuclear explosions are precise and controlled, as much or more than the dosages in chemotherapy treatment. In the science of atomic engineering, the very technologies deployed to allay concerns of apocalyptic malfunction loom as the likely source of functional mass destruction. As he doubtless expected, Joy’s article was widely portrayed by nanotechnology enthusiasts and practitioners as Luddite exaggeration bordering on unmanly hysteria. Gary Stix, special projects editor at Scientific American, noted scornfully that “the danger comes when intelligent people” take “predictions” of nanotechnological catastrophe “at face value”. A “morose Bill Joy”, Stix wrote, had “worried…about the implications of nanorobots that could multiply uncontrollably. A spreading mass of self-replicating robots – what Drexler has labelled ‘gray goo’ – could pose enough of a threat to society, he mused, that we should consider stopping development of nanotechnology. But that suggestion diverts attention from the real nano goo: chemical and biological weapons.”20 This parodies Joy’s article, however, which considers a range of negative consequences potentially flowing from the basic fact of the nanotechnology revolution, namely that the “replicating and evolving processes that have been confined to the natural world are about to become realms of human endeavour”.21 That we may not be eaten by ‘gray goo’ does not mean we should ignore other dire prospects. As for the ‘real nano goo’, Joy sees in nanotechnology the potential to dramatically enhance the mass-destructive capacity of chemical and, particularly, biological weapons, in a manner akin perhaps to the qualitative leap from atomic to thermonuclear weapons. It is precisely in the CBW area that nanotechnology is likely to pose its first major arms control challenge. So, for Joy, is nanotechnology. For most scientists, however, the case is rather that of physicists in the 1930s, aware but sceptical of the prospect of the large-scale release of energy from the atomic nucleus23, but almost without exception committed to exploring the exciting new world, and professional opportunities, opened up by quantum mechanics.24Even after the discovery of fission in 1938, many prominent physicists, including Niels Bohr25, were extremely dubious that a practical, deliverable weapon could be built. The thing to do was to press on, work hard to make sure of the facts, and hope the bomb would prove impossible. Part of the motivation for pressing on, of course, was fear of Hitler getting the bomb first. But, assuming the risks of nanotechnological mass destruction became more widely accepted, what would the comparable fear be today? Pre-eminently, terrorism. Terrorists, however, can only hope to acquire new means of mass destruction in the same way they pursue nuclear, chemical and biological WMD – by pilfering and diverting from a highly-developed knowledge-base and infrastructure. In Joy’s view, precisely such a ‘gift’ is presently being assembled and wrapped, generously funded and uncritically supported, and in the almost complete absence of mainstream political or wider democratic scrutiny or participation. ‘We’ are sowing the wind we all may reap. There are two basic options for designing a possible arms control approach to the mass-destructive potential of nanotechnology. Both, of course, will be stillborn in the absence of a recognition by government, business and science – the ‘strategic triad’ of contemporary decision-making – that serious dangers exist. Such initial pressure for action cannot realistically be expected to come from within the structurally reactive and reflective arms control diplomatic community. Let us assume, however, that growing public concern and increasingly troubling scientific results combine to push the issue onto a future agenda. We are immediately confronted with a decisive choice, so familiar to followers of myriad disarmament and non-proliferation discussions: what is our goal, abolition or regulation? Is the fundamental danger what ‘others’ might do with ‘our’ technology, or is the real problem the technology itself? It is possible to construct an arms control regime based on the logic of either conclusion; but it is not possible to merge both approaches. Such a treaty would mark a giant political leap forward from today’s effectively unregulated mass of governmental, academic and commercial projects. The critical issue would then become one of effective practical implementation. How, for example, could the nature, scope, intention and possible application of inner-space research be ascertained and verified? How would violations be detected and transgressors corrected? Where would the line be drawn, and by whom, between defensive and offensive military nanotechnology? How could adequate monitoring and inspection of commercial nanotechnology be reconciled with the demands of competitiveness and confidentiality? Such dilemmas and tensions are currently dogging the debate over the best means of strengthening the chemical and biological weapons regimes. Indeed, as mentioned above, the incursion into chemistry and biology of increasingly sophisticated techniques and processes of atomic and genetic engineering is already promising to destabilise many traditional arms control strategies and remedies. Until this new engineering revolution takes firmer shape, with its capacities and limits more clearly defined, how can we construct a regime of control and restraint around it, either in the CBW-area or under the remit of a new ‘inner space’ accord? But if we wait for the results of “a wonderful free-for-all of discovery”26to become clear, then what are the chances of introducing timely and effective controls, rather than securely locking the empty stable? As a radical alternative, what would an abolitionist treaty look like? (See the Appendix – ‘Version B: Treaty on the Prohibition of Nanotechnological Exploration and Engineering of Inner (Atomic and Molecular) Space’ – for a tentative sketch of such a ban.) 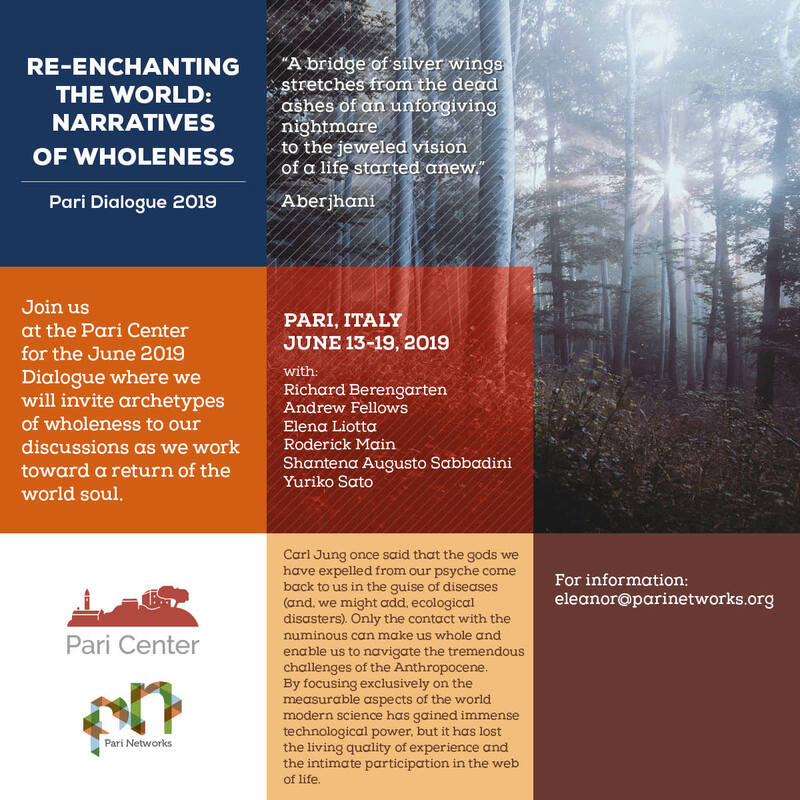 Instead of reserving the nanosphere for peaceful human exploitation, it would seek its preservation as a natural ‘wilderness’ environment, treating any exploitation as a criminal violation of sanctuary.27 Again, though, if the elaboration of such a radical and ambitious regime waits on events, it will soon be overtaken by them, irremediably swamped by the sheer scale of ongoing nanotechnological colonisation, mining, drilling, construction, etc. Indeed, is there yet time for either version of an ‘inner space’ regime to be drawn up and introduced? Although some damage has already been done, it still seems fair to describe the nanotechnology revolution as in its infancy. The fact, as Oppenheimer once stated, that scientists have “known sin”28, is no reason – as Rabi and Fermi bravely argued with regard to the H-bomb – for the ‘sinning’ to continue, or reach a new level. The danger of new means of mass destruction emerging from the development of nanotechnology is, by definition, as yet neither present nor clear. By the time it is, it may be too late to either eliminate or control. While there is no realistic possibility of early arms control negotiations to tackle the threat, the international community should at least take cognisance of the issue – in all its aspects, to use the appropriate diplomatic term for far-reaching, open-ended and open-minded deliberation. As part of its establishment by a United Nations Special Session on Disarmament in 1978, the Conference on Disarmament (CD) in Geneva was provided with a wide-ranging list of items for possible pursuit. One of the items, dormant ever since, was: ‘New Types of Weapons of Mass Destruction and New Systems of Such Weapons’. Action to prevent the emergence of new means of mass destruction has, thus, a place already set for it at the diplomatic table. 1. Given the potential scale of devastation brought into view by nanotechnology, it is tempting to move beyond the designation weapons of mass destruction and coin a new phrase – weapons of global destruction (WGD) – to better describe and convey the threat. I have shied away from doing so, however, for four reasons: 1) it may be possible to develop nanotechnological, or nanotechnologically-enhanced, weapons capable of causing mass destruction on the scale of nuclear, chemical or biological weapons, but not global destruction in the sense of irreparable, comprehensive annihilation of life on the planet; 2) it may conversely be the case that the irreparable, comprehensive annihilation of life on the planet could be inadvertently caused by nanotechnological devices, entirely outside of a military or terroristic context; 3) the threat posed to the planet by the three current categories of mass destruction – particularly nuclear weapons – is so severe that a new label connoting a qualitatively more severe threat is, certainly at this stage, premature and misleading; and 4) nanotechnology is likely to play a key role in rendering even more dangerous and repellent all three existing categories of mass destruction, particularly biological weapons, making distinctions between nuclear, chemical and biological weapons on the one hand, and nanotechnological weapons on the other, spurious and unhelpful. It may be, of course, that nanotechnology, if unchecked, will form part of a process of technological innovation leading to a spectrum of weapons better understood and described as WGD than WMD. 2. ‘There’s Plenty of Room at the Bottom’, lecture by Richard Feynman to the American Physical Society, California Institute of Technology (Caltech), December 29, 1959. Feynman, who worked at Los Alamos during World War II, makes no reference in his lecture to the possible military applications of atomic engineering, stressing with customary optimism the potential benefits: “I am not afraid to consider the final question as to whether, ultimately – in the great future – we can arrange the atoms the way we want; the very atoms, all the way down! … Up to now, we have been content to dig in the ground to find minerals. We heat them up and do things on a large scale with them, and we hope to get a pure substance with just so much impurity, and so on. But we must always accept some atomic arrangement that nature gives us. … What could we do with layered structures with just the right layers? What would the properties of materials be if we could really arrange the atoms the way we want them? … I can’t see exactly what would happen, but I can hardly doubt that when we have some control of the arrangement of things on a small scale, we will get an enormously greater range of possible properties that substances can have, and of different things that we can do.” Emphases in the original. For the full text of the lecture, see the California Institute of Technology, http://www.its.caltech.edu/~feynman. 3. The scanning tunnelling microscope was developed in 1981 by Gerd Binnig and Heinrich Rohrer at the IBM Research Laboratory in Zurich. Binning and Rohrer received the Nobel Prize for Physics for the invention in 1986. In 1990, Donald Eigler and Erhard Schweizer, using an STM at IBM’s Almaden Research Laboratory in San Jose, California, arranged 35 xenon atoms to spell out three letters. The letters, naturally, were I, B, and M. In the years since, Eigler has been engaged in ‘drawing’ ever-more substantial atomic ‘pictures’. An extraordinary ‘STM image gallery’ of ‘works’ by Eigler and his colleagues can be viewed at http://www.almaden.ibm.com/vis/stm/catalogue.html. 5. According to the US National Science Foundation (NSF), global government spending on nanotechnology in FY 2001, excluding the United States, was $835 million, up from $316 million in 1997, the first year the NSF provided an estimate. See Gary Stix, ‘Little Big Science’, Scientific American, special issue on nanotechnology, September 2001 (http://www.sciam.com). 7. ‘National Nanotechnology Initiative: Leading to the Next Industrial Revolution’, White House Fact Sheet, January 21, 2000. The Fact Sheet lists seven “potential breakthroughs” anticipated over the next quarter-century: “the expansion of mass storage electronics to multi-terabit capacity that will increase the memory storage per unit surface a thousand fold”; “making materials and products from the bottom-up, that is, by building them up from atoms and molecules”; “developing materials that are 10 times stronger than steel but a fraction of the weight”; “improving the computer speed and efficiency of miniscule transistors and memory chips by factors of millions”; “using gene and drug delivery to detect cancerous cells by nanoengineered…contrast agents or target organs in the human body”; “removing the finest contaminants from water and air to promote a cleaner environment and potable water”, and; “doubling the energy efficiency of solar cells”. In addition to this sweeping vision of technology on the march, the Fact Sheet promises that the “impact nanotechnology has on society from legal, ethical, social, economic, and workforce preparation perspectives will be studied”. However laudable this sense of broader context, however, the language is strikingly auto-suggestive, in effect directing the studies to consider what the impact of a massive government investment in nanotechnology is likely to be, rather than whether such an investment should be made. 8. There are currently ten US government partners in the NNI. In descending order of funding received in FY 2002, they are: National Science Foundation ($199 million); Department of Defense ($180 million); Department of Energy ($91.1 million); National Aeronautics and Space Administration (NASA – $46 million); National Institutes of Health ($40.8 million); National Institute of Standards and Technology ($37.6 million); Environmental Protection Agency (EPA – $5 million); Department of Transportation ($2 million); US Department of Agriculture ($1.5 million); Department of Justice ($1.4 million). The major recipient – the NSF – is entrusted to conduct a wide range of basic research under the heading ‘Nanoscale Science and Engineering’. The major categories of this research are: biological sciences; computer and information science and engineering; engineering; geosciences, and; mathematics and physical science. 10. ‘MIT to make “nanotech” Army wear’, Tiffany Kary, CNET News.com, March 14 (2:39 PM), 2002. For the MIT press release quoted in the report, see ‘Army selects MIT for $50 million Institute to use nanomaterials to clothe, equip soldiers,’ March 13, 2002, http://www.mit.edu/newsoffice/nr/2002/isn.html. For a US Army summary, see ‘Army teams with Massachusetts Institute of Technology (MIT) to establish Institute for Soldier Nanotechnology’, News Release R-02-011, March 13, 2002. MIT has also published twenty ‘questions and answers’ concerning the project. Question 18 – “What is your response to critics who say universities are being turned into think tanks for the military?” – is answered as follows: “As a vast training bed that captures lessons learned exceptionally well, runs whole bases dedicating to educating men and women, and produces soldiers who are inspired by our nation’s values and ideals, there is much that the military can share and shares in common with our nation’s universities. It is in everyone’s best interest that the military and academic institutions collaborate. It is also in everyone’s best interest that ideas from academia, the entertainment industry and the military be improved through the rigors of scientific research.” See ‘Institute for Soldier Nanotechnology (ISN): Questions and Answers’, MIT News Release, March 13, 2002, http://www.mit.edu/newsoffice/nr/2002/isnqa.html. 12. George M. Whitesides and J. Christopher Love, ‘The Art of Building Small’, Scientific American, September 2001. 13. A. Paul Alivisatos, ‘Less is More in Medicine’, Scientific American, September 2001. Cautious and tentative throughout, the paper ends with an intoxicated survey of prospects: “What…marvels might the future hold? Although the means to achieve them are far from clear, sober nanotechnologists have stated some truly ambitious goals. One of the ‘grand challenges’ of the National Nanotechnology Initiative is to find ways to detect cancerous tumors that are a mere few cells in size. Researchers also hope eventually to develop ways to regenerate not just bone or cartilage or skin but also more complex organs, using artificial scaffoldings that can guide the activity of seeded cells and can even direct the growth of a variety of cell types. Replacing hearts of kidneys or livers in this way might not match the fictional technology of Fantastic Voyage, but the thought that such medical therapies might actually become available in the not so distant future is still fantastically exciting.” At no point does Alivisatos address the potential misuse of these techniques and methods. 14. K. Eric Drexler, ‘Machine-Phase Nanotechnology’, Scientific American, September 2001. 17. The same potential for misuse, of course, applies across the spectrum of modern biotechnologies based on genetic engineering and modification. The risk of unintended consequences – a supercrop producing superweeds, for example – is itself considerable; the potential for intended consequences – qualitatively new biological weapons – is perhaps even greater. For details of the debate over the impact of biotechnology on efforts to strengthen the Biological Weapons Convention, see Jenni Rissanen, ‘BWC Report’, Disarmament Diplomacy No. 62, pp. 18-32. 18. ‘Why the Future Doesn’t Need Us’, Bill Joy, Wired, April 2000 (http://www.wired.com). 19. I don’t interpret Joy as placing the entire onus for sounding the alarm on scientists. Nevertheless, he does stress the obviously especial responsibility of practitioners in a new field to provide honest assessments of risk and dangers to their paymasters – whatever the risk and dangers to their careers. Once the field is well-established, scientists’ qualms or concerns are much easier to ignore – why, after all, did they not say so before? This was certainly the well-documented experience of many physicists involved in the Manhattan Project, lobbying frantically after the bomb was built to prevent its unannounced use against a Japanese civilian target – a scenario which, to most of them, would have sounded nightmarish beyond crediting at the outset of the Project. In contrast, there is clear, though contested, evidence, that the majority of scientists working under the direction of the Nazi regime – most importantly, Werner Heisenberg – deliberately used their influence to persuade the authorities not to engage in serious weapons work. Whatever the exact motivation and sequence of events, the broader point is that a unique window of opportunity can sometimes open in the formative stages of a major new technological enterprise for scientists to lobby either for or against its pursuit, and so to help determine, perhaps critically, the scale and intensity of the endeavour. For discussion of the radically different situation and approaches of atomic physicists in America and Germany in World War II, see Robert Jungk, Brighter Than a Thousand Suns, Penguin Books, 1970 edition, especially pp. 175-191 & pp. 201-217; Thomas Powers, Heisenberg’s War: The Secret History of the German Bomb, Da Capo Press, 2000, especially pp. 478-484; and Richard Rhodes, The Making of the Atomic Bomb, Touchstone, 1988, especially pp. 749-788. 20. Gary Stix, ‘Little Big Science’, Scientific American, September 2001. 21. ‘Why the Future Doesn’t Need Us’, Bill Joy, Wired, April 2000. 22. For the report, supporting documents and debates of the GAC, see Rhodes, The Making of the Atomic Bomb, pp. 776-770. A sceptical response to Fermi and Rabi’s description of the H-bomb as “necessarily an evil thing in any light” would be to say that the non-use of thermonuclear weapons since 1949 proves such a dramatic characterisation to have been overblown. The prospect of global destruction through a full-scale nuclear conflict has not yet been lifted, however, and is sufficiently appalling to make a 53-year time period startlingly insignificant. The only point at which one could conclude that the cloud had passed would be with the advent of a nuclear-weapon-free world – an objective to be sought in part because of the irreducible moral illegitimacy of thermonuclear weapons. 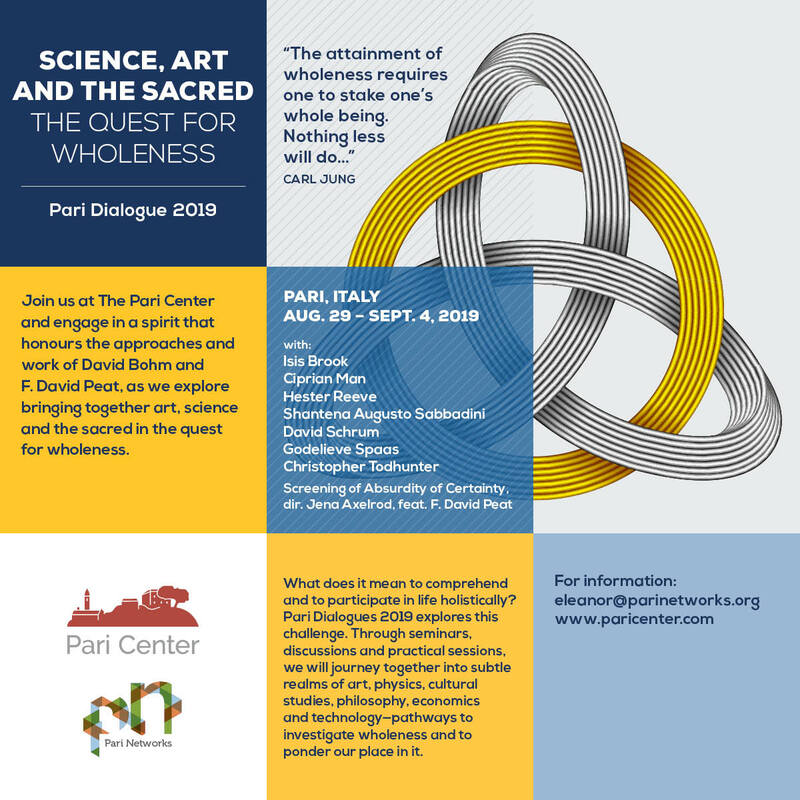 Fermi and Rabi would perhaps regard considerations such as the purported success of deterrence, or the prevention of Cold War meltdown into full-scale conflict, as good examples of the kind of “light” in which the issue should not be considered. 23. Up to his death in 1937, Ernest Rutherford, the leading pioneer of modern atomic physics, believed in the impracticality even of generating useable energy directly from atoms. As quoted in a famous article in The Times on September 12, 1933, Rutherford noted that bombarding heavy elements with neutrons and other particles “was a very poor and inefficient way of producing energy, and anyone who looked for a source of power in the transformation of the atoms was talking moonshine”. See Rhodes, The Making of the Atomic Bomb, p. 27. 24. In his survey of the attitude of physicists in the 1930s to the possibility of atomic weapons, Robert Jungk names only one scientist who walked away from a bright professional future. Jungk quotes the English crystallographer Kathleen Lonsdale as arguing that scientific “responsibility cannot be shirked” for the “criminal or evil” application of research, “however ordinary the work itself may be”. He then writes: “Only a few scientific investigators in the Western world have in fact acted on this principle. Their honesty obliged them to risk their professional future and face economic sacrifices with resolution. In some cases they actually renounced the career they had planned, as did one of Max Born’s young English assistants, Helen Smith. As soon as she heard of the atom bomb and its application, she decided to give up physics for jurisprudence.” The case is doubly interesting given Born’s decision, upon leaving Nazi Germany, to remain a physicist but refuse to take part in any active weapons work. In the opinion of the author of this paper, Smith ranks as one of the unsung heroes of the history of scientific conscientious objection. See Jungk, Brighter Than a Thousand Suns, p. 261. 25. Bohr believed an atomic bomb, at least of devastating effect, would be rendered impractical by the scale of the effort involved in producing sufficient quantities of the kind of uranium, the naturally rare isotope U-235, required. According to Edward Teller, Bohr told scientists at Princeton University in 1939 that “it can never be done unless you turn the United States into one huge factory”. Visiting Los Alamos in 1943, Bohr admitted he had been both wrong and right: wrong in that he hadn’t foreseen the production of highly-fissionable plutonium from burning commonplace uranium (U-238); right in the scale of industrial effort required to produce sufficient quantities of both plutonium (used to destroy Nagasaki) and U-235 (used to destroy Hiroshima). See Rhodes, The Making of the Atomic Bomb, p. 294. It is salutary to consider what comparable assumptions may be built into the thinking of prominent scientists today who see no compelling cause for concern about the capacity of nanotechnology to produce new means of mass destruction. In one respect, the situation is perhaps more frightening, as a much lesser military-industrial effort than the Manhattan Project may be required to produce and deliver nanotechnological WMD. Might there not also be the possibility of an equivalent to plutonium: a sudden discovery which makes, for example, uncontrollable nanorobotic proliferation eminently more feasible? 26. ‘The Art of Building Small’, George M. Whitesides and J. Christopher Love, Scientific American, September 2001. 27. This formulation clearly suggests the violatory quality of all atomic experimentation and energy production involving penetration into the atomic interior, i.e. bombardment of the nucleus. The logical extension of an Inner Space Treaty premised on a defence of atomic sanctuary would indeed be the abolition of all nuclear weapons, nuclear energy and nuclear research activities – just as the exploitation of the atomic and molecular interior for engineering purposes is a logical extension of the exploitation of that environment in pursuit of military, scientific and industrial advantage. There are, of course, important ways in which the OST would provide a partial or inadequate basis for even a ‘peaceful uses’ treaty. Crucially, the scale and spectrum of facilities involved in the case of nanotechnology would be vastly greater – more akin, indeed, to the range encountered in advanced biochemistry (with which, as we have seen, nanotechnology is already interlinked). Correspondingly, valuable language and concepts could doubtless be transposed from the Chemical Weapons Convention – i.e. its seventh article, on National Implementation Measures – or the draft Protocol drawn up for the Biological Weapons Convention. Instructive analogies with other accords – i.e. the 1977 Convention on the Prohibition of Military or Any Other Hostile Use of Environmental Modification Techniques – will surely occur to a readership far more versed than the author in the body and practice of relevant international law. The sketches which follow are designed only to stimulate debate, and even attract criticism, rather than be taken as a working basis for professional discussions.